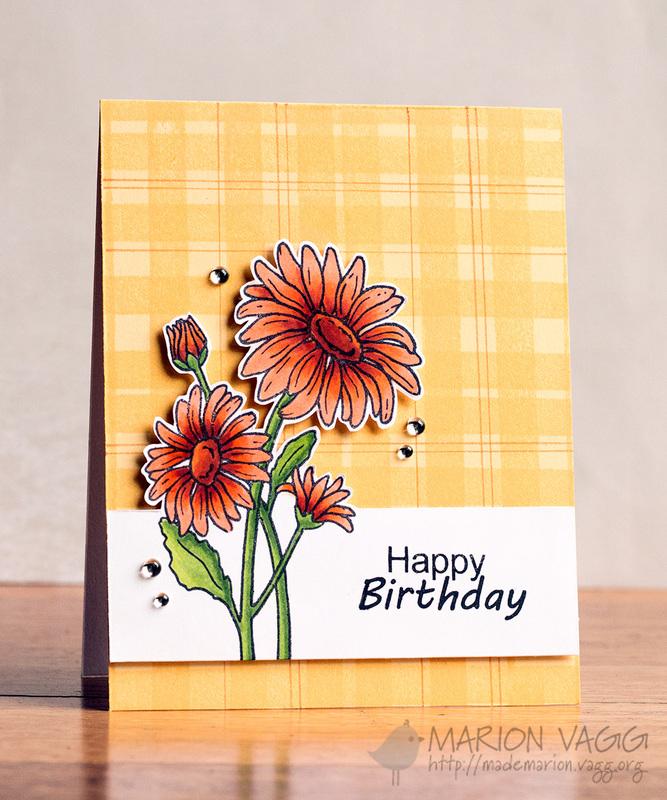 I’ve really had a lot of fun playing with Jane’s latest stamp set called Daisies. It is such a versatile set and the images are really easy to colour. Copic Markers are my favourite way to add colour to an image, and that’s what I have used again here. I added a really subtle blue around the daisies for some added interest. 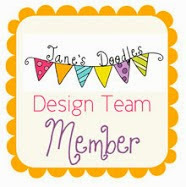 You can find my card here on the Jane’s Doodle blog. 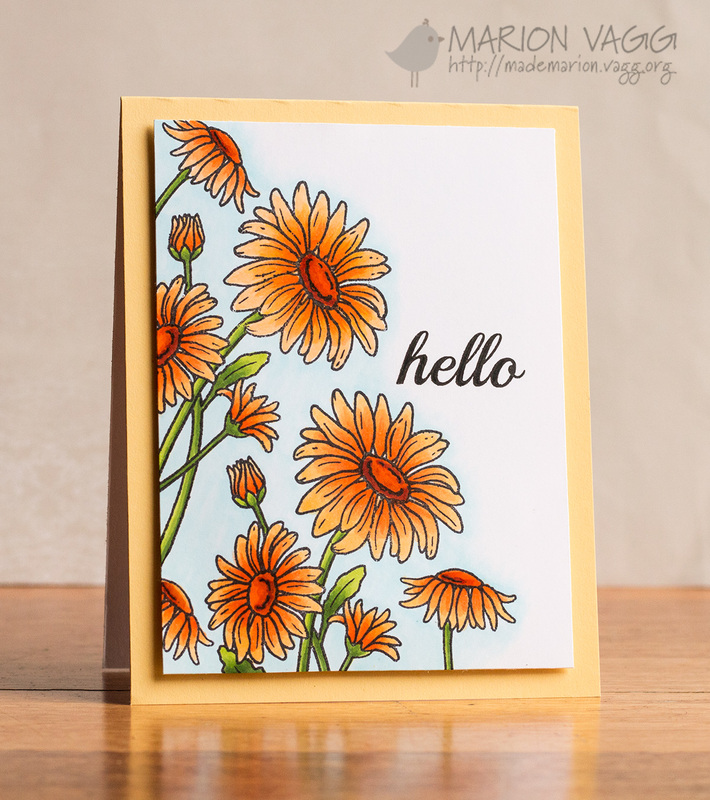 I’m dropping in to let you I have a new card up on the Simplicity at its Best blog. Head to the site for the full reveal and instructions on how I made it. 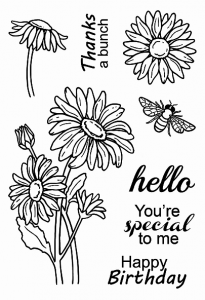 Welcome to the latest spotlight blog hop for Jane’s Doodles Stamps. You should have arrived from Vesna’s blog. If you get lost along the way, there is a blog hop order at the end of my post that should point you in the right direction. 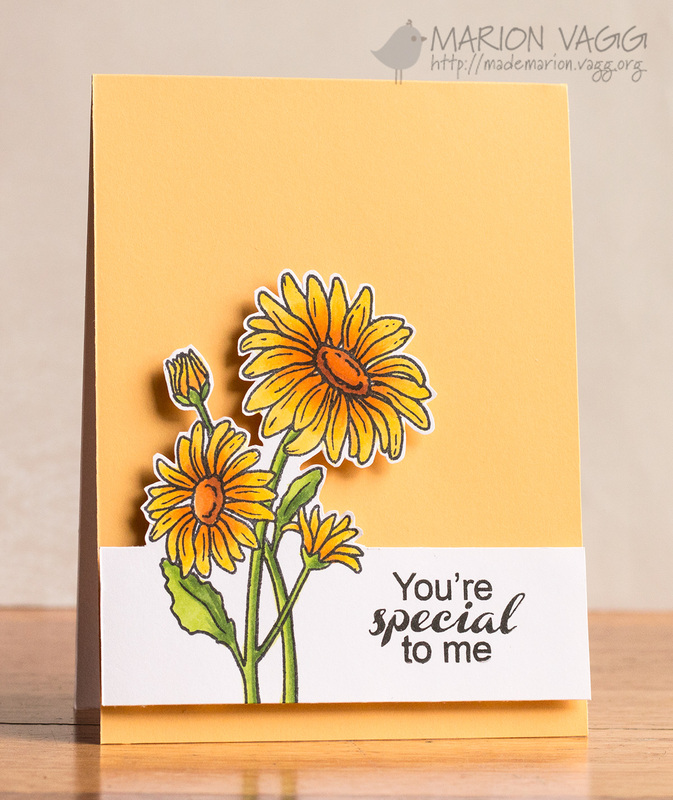 Today we are spotlighting the latest two stamp sets to the store called Daisies and Special Delivery. Both sets are very versatile and beautifully designed by Jane herself. First up I stamped the daisy stamp onto some white card stock and coloured the image with Copics. I then fussy cut around the flowers before adhering it with foam dimensionals onto a yellow card base. For my second card, I die cut some clouds from some masking paper. I then sponged on some Salty Ocean distress ink and moved the mask several times to create the cloud scene. The stork and baby were coloured with Copic markers and I then fussy cut around these before adhering them with foam dimensionals. 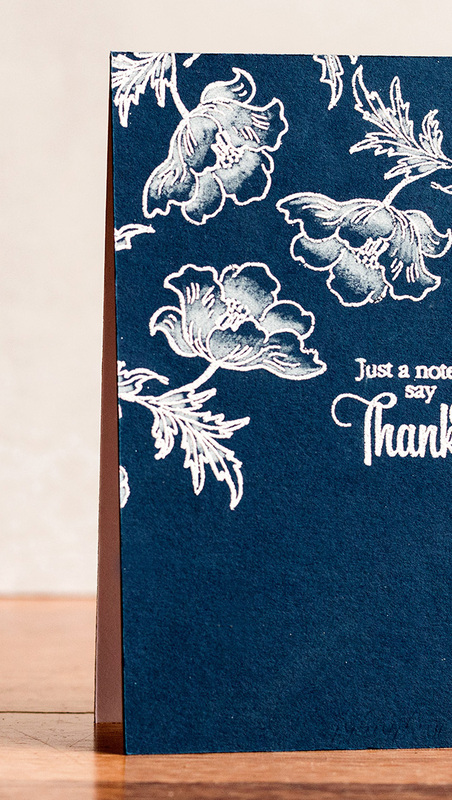 Jane is generously giving one stamp set of your choice from the store to one lucky winner. Just leave a comment on all the blogs along the hop for your chance to win. In addition to this, there is 15% off all stamps sale.